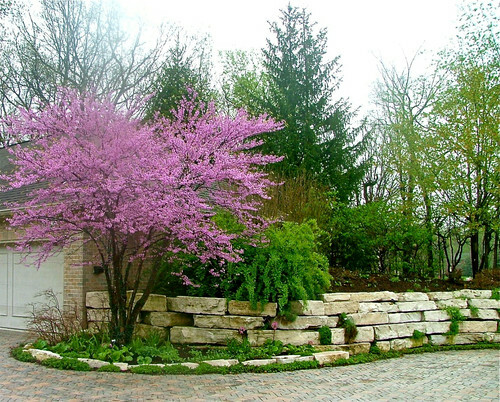 Whether you have a new house in a just-built development, want to spruce up your backyard, or have just moved and need more shade and privacy, planting trees usually comes to mind. Luckily, San Diego has an ideal climate for growing many types of trees and once you know what grows best where, you’re well on your way. Keep in mind that like most things backyard, the type of tree you choose depends on your space, personal preference, budget and need, so below we’ve listed the trees that do well in our region with details such as how tall each species grows and their water requirements. Overall, here in Southern California, drought-tolerant and bright-sun-favoring plants are your best choices, but still, most trees grow fastest when they are young and planted in nutrient-rich, well watered soil. Also, remember that you don’t want to plant a tree within 10 feet of your home due to growing roots and hanging branches, and that it’s important to size your tree according to the space you have in your yard. The main reason homeowners tear out trees is because they’ve grown too big and you don’t want to find yourself in that position years down the road. This evergreen grows well in semi-arid climates and has low water needs once it’s established. The shoestring acacia blooms clusters of cream and yellow flowers primarily in the spring. Because the shoestring acacia tends to lightly “litter,” it’s recommended it not be planted too near pools. Mature height: 20′ to 40′. 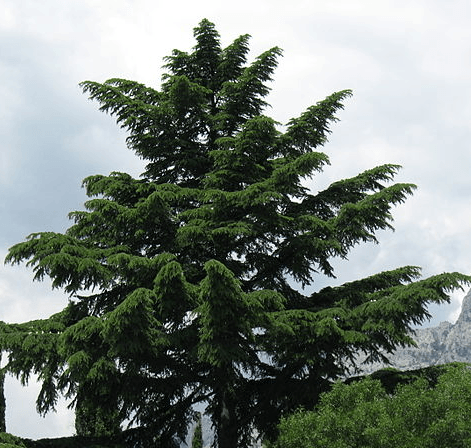 Another evergreen, the deodar cedar is heat and drought-tolerant once it’s established. The deodar cedar is well adapted to San Diego’s climate and even grows well in mild seaside conditions. Sometimes called the “Christmas-tree tree,” the deodar is not as dense as the evergreen trees typically used for the holidays. This deciduous smaller tree blooms magenta flowers in the spring and is native to the western U.S. and is often found in the foothills and other dry regions. Drought-tolerant and fairly compact, the Western Rosebud is a fairly popular landscape tree in Southern California. And bonus? Its flowers are edible. Angel’s Trumpets are mainly characterized as large tropical shrubs capable of being pruned into a woody tree form, although other sources call it a small tree. The Angel’s Trumpet is so named for its enormous (up to 12 inches), tubular-shaped flowers that bloom prodigiously in the summer and fall. The flowers open at night and smell fantastic. 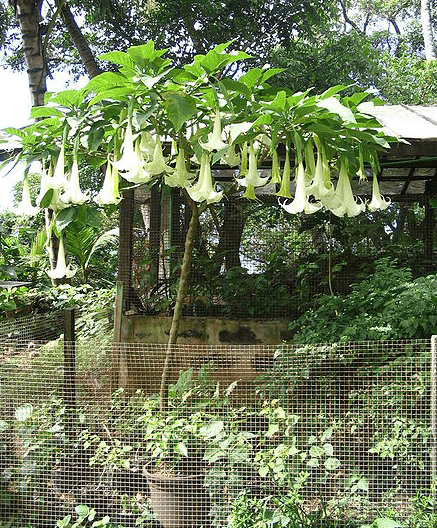 Not for backyards with kids or pets, Angel’s Trumpet trees are highly toxic if ingested. 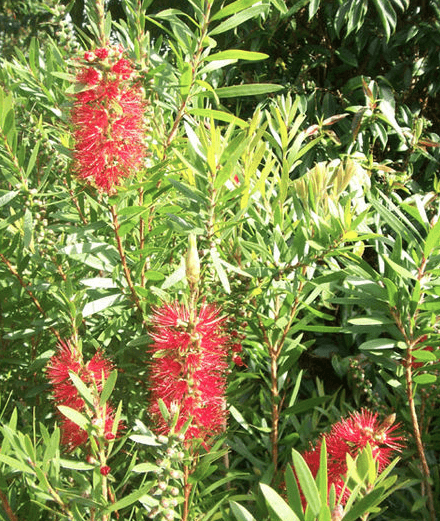 An evergreen tree (commonly grown as a shrub), Lemon Bottlebrush sports red, brush-shaped flowers and is fairly drought-tolerant. This is a deciduous tree with dramatic, pink-purple seed clusters and reddish foliage that reaches its peak in the summer and becomes scarlet in the fall. The tree’s blooms often appear wispy or “smoky,” which gave rise to the name. San Diego provides the perfect climate for growing fruit trees with its direct sunlight and warm seasons. We didn’t cover fruit trees here because they tend to require more maintenance and attention than simple trees used for landscaping do. However, a comprehensive guide to what fruit trees to plant in San Diego is available here. 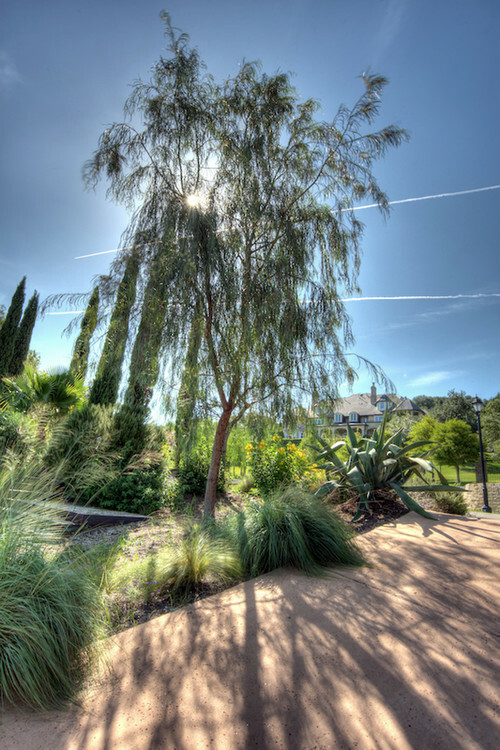 With its microclimates and varied topography, Southern California and San Diego in particular, are well suited to growing many different tree types. 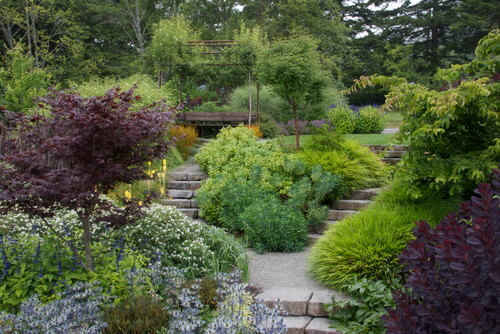 After evaluating your space, needs, and function versus form requirements, and doing a little research, choosing the best species for your yard is easy. What trees do you grow? 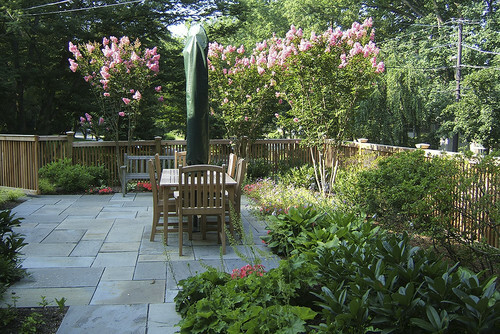 Are they right for your landscape?